This adapter plugs into the unit under test QFN or MLF circuit board pads to provide easy access connection points for test instrumentation, signal injection, and temporary external circuit connection. 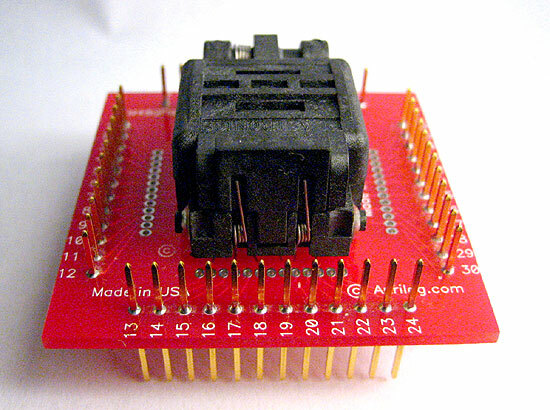 The QFN socket on the top of the adapter is a high quality test socket to ensure a long useable life and solid signal connection after many chip insertions. Adapters on these pages are listed in ascending order by the number of pins. Logic-analyzer-adapter.com is a divion of Enable Engineering Co., Inc.